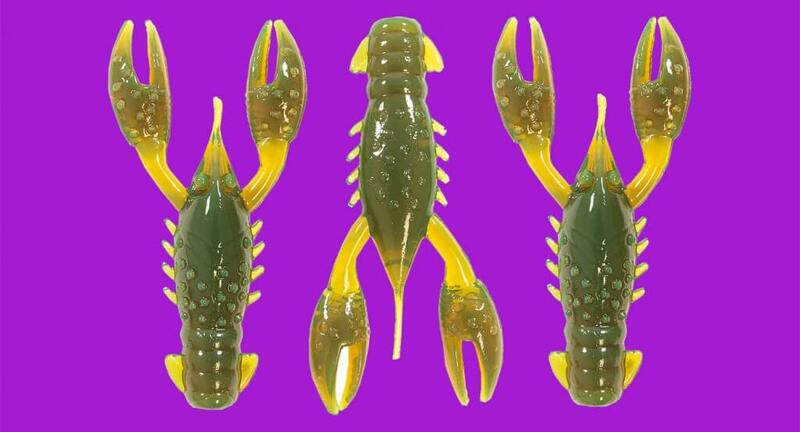 Joining the already incredible line-up of various soft baits ZMan offers, the new TRD CrawZ is sure to fill a gap for those chasing crustacean-eating critters in fresh and saltwater. One thing that makes the TRD CrawZ so unbelievably effective is the fact that when it’s rigged on a NedLockZ jighead, it stands on its head, waving its claws like a real yabby defending itself. The buoyancy of the 10X ElaZTech material serves to make this feature even more life-like. The fins on the tail of the yabby resembles a tucked in tail, but also aids in helping this great bait glide naturally to the bottom on a slack line. Additionally, if rigged backwards, it can also glide in under structure! With 8 colours to choose from, this 2.5” bait will be perfect for the likes of bass, bream, yellowbelly and many, many more.